Our royal blogger is excited about Andrea Casiraghi’s wedding in Monaco next week and looks at the beautiful people of this royal family. It’s a fact – royal weddings in Europe are few and far between, but for fashion slaves and royal watchers these events are a keenly anticipated treat. Because you can be sure it will be wall-to-wall designer outfits, teamed with tiaras, usually dating back centuries and with an interesting history from previous wearers. Royal weddings are like two-for-the-price-of-one offers because there’s usually a church ceremony plus a gala dinner the evening before and/or after the church service. So it’s outfits, hats and designer heels galore. Lekker! 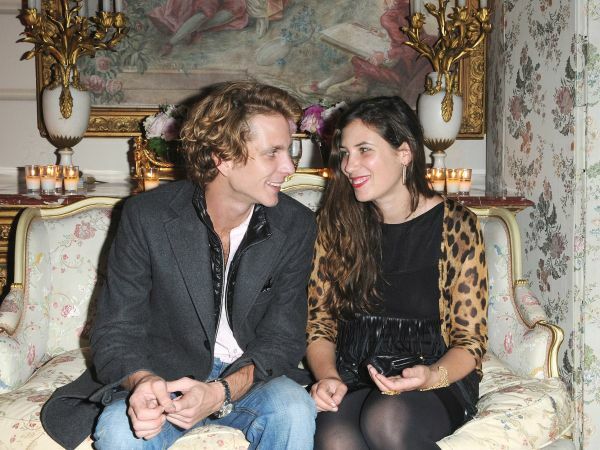 In Monaco you also get the civil ceremony before the church service, and with 29-year-old Andrea Casiraghi (pictured above with fiancée Tatiana Santo Domingo) being second in line to the Monegasque throne I suspect this wedding will definitely not be a low-key affair. When Andrea and heiress and socialite Tatiana Santo Domingo (her dad is one of the wealthiest people in Colombia) marry on 31 August – the same day Princess Diana fans commemorate her death – their son Sacha who was born in March will also become a legitimate successor to the throne after his dad. Obviously the first in line to the throne is Andrea’s mother Princess Caroline. If she were to survive Prince Albert and he and Princess Charlene don’t have children, Caroline will reign supreme in Monaco (Albert’s illegitimate children are not pretenders to the throne). In Monaco having out-of-wedlock children is nothing unusual – Caroline was pregnant when she and Andrea’s dad, the handsome Italian Stefano Casiraghi, were married in 1983. I always regarded Caroline as the proverbial fairytale princess. Although she was on the wild side in her youth and her first marriage to the much older Phillip Junot gave her parents Prince Rainier and Princess Grace grey hair, it seemed she eventually found lasting love with Stefano. 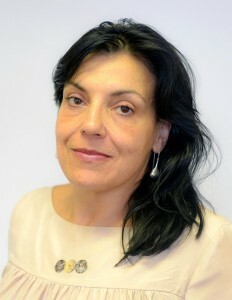 But when Stefano died in a speed boat accident in 1990 Caroline and their three children, all under six, sought refuge in the French countryside where they avoided the prying lenses of the paparazzi – although we did see pictures of Caroline when she lost her hair and wore a head scarf for many years. When her children were older she returned to Monaco. Her third marriage to Prince Ernst of Hanover set tongues wagging (he was still married when they started their affair) but this marriage now exists in name only. It’s hard to say what Caroline thinks of her gorgeous daughter Charlotte’s pregnancy and her relationship with the much older French actor Gad Elmaleh (he’s 15 years old than the 27-year-old royal). Even the French celebrity magazines are stum on the subject. But it’s obviously a case of like mother like daughter. For years Stephanie, Caroline’s younger sister, was also persona non grata in Monaco. Her two elder children were born out of wedlock and she and her bodyguard Daniel Ducruet were only married after daughter Pauline’s birth in 1994. After their divorce Stephanie had a fling with a married circus performer and her youngest daughter Camille is not on the list of successors to the throne because she was born out of wedlock. But let’s be honest – irrespective of what they get up to in the bedroom, the Casiraghis are some of the world’s most beautiful people. Princess Caroline always looks as if she’s stepped off a page of the fashion glossy Vogue and Charlotte has inherited her mom’s love for Chanel. Charlotte often appears in Chanel ad campaigns and Chanel director and chief designer Karl Lagerfeld is one of Caroline’s closest friends (pictured above with Caroline and Charlotte). I’m willing to bet Charlotte is going to outshine the Duchess of Cambridge when it comes to pregnancy outfits. Charlotte and her mom are regularly seen in designer creations and more often than not they look better in them than the runway models. It was Charlotte who introduced her brother to his fiancée Tatiana. She and Tatiana (29) were at school together. Andrea and Tatiana have been an item for more than eight years, and Tatiana is famous for her bohemian fashion style. In 2010 she was named the best-dressed person in the world by Vanity Fair and started an online fashion store with a friend called Muzungu Sisters (google it to see the jaw-dropping prices especially if you convert them to rand). With her classic Grace Kelly looks our Princess Charlene won’t let the side down on the wedding day – she’s easily just as stylish as her sisters-in-law and just as at home on the red carpet. And don’t forget to look out for 19-year-old Pauline Ducruet, Princess Stephanie’s eldest daughter (pictured above). The lovely brunette is only now beginning to steal the limelight and is a welcome newcomer. Her looks remind me of the timeless beauty of her grandmother Grace. Only time will tell if this young generation of Casiraghis will skip the curse of Monaco (that tragedy and bad luck follows the family). I hope so! Arlene Prinsloo is an ardent royalist, national content coordinator at Digital News: Media24 News and YOU’s royal blogger.